Looking towards Lake Awassa, in the middle of the Ethiopian Rift Valley. The Lake has been designated as an “Important Bird Area”, estimated to hold a minimum of 20,000 waterbirds on a seasonal basis. The Great Rift Valley divides the Ethiopian highlands; and the lakes it contains, such as Lake Awassa, Lake Langano, Lake Zeway, and Lake Chew Bahir, host significant numbers of waterbirds. At Abijatta-Shalla Lakes National Park, at one of the narrowest points of the Great Rift Valley, over 400 bird species have been recorded, including Palearctic and African migrant raptors, flamingos and other waterbirds. Main threats to the birds include deforestation, overgrazing and the unregulated use of agrochemicals, as diminishing agricultural land forces farmers to encroach on the remaining forests. A drought recurring roughly every seven years claims millions of human lives. (Ethiopian Wildlife and Natural History Society; Fishpool, L.D.C. and Evans, M.I., eds., 2001). 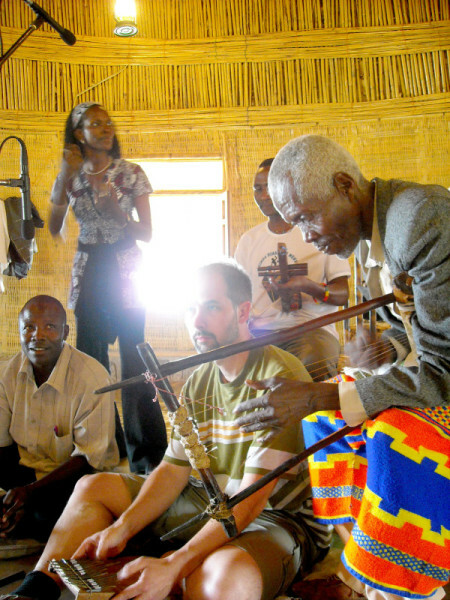 Music collaborators include musicians from the Ari, D’Irashe and Basketo communities of southern Ethiopia; from Awassa, Arba Minch, Lante, Konso, Weyto, Arbore, and Gondoroba, including Alemu Aga, (beganna); Mr. Kabilula (kirar) from Konso; women from upper Konso village (washint); Dokku Lenda from Lante (kirar/itsa, in Ochalla language); and dancers and musicians of the Tsemako tribe.In April 2006, Paul Winter and his colleagues presented three concerts of “The Great Rift Valley Suite” in Addis Ababa, with 40 musicians from the Ari, D’Irashe and Basketo communities of southern Ethiopia, and Dokku Lenda from Lante. 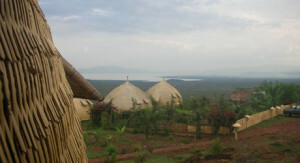 The concerts took place in the National Theatre, the Yared Music School, and the Hager Fikir Theatre in Addis AbabaIn September 2008, a core Great Rift Valley Orchestra with musicians from the D’Irashe tribe presented two concerts in Awassa and Arba Minch. 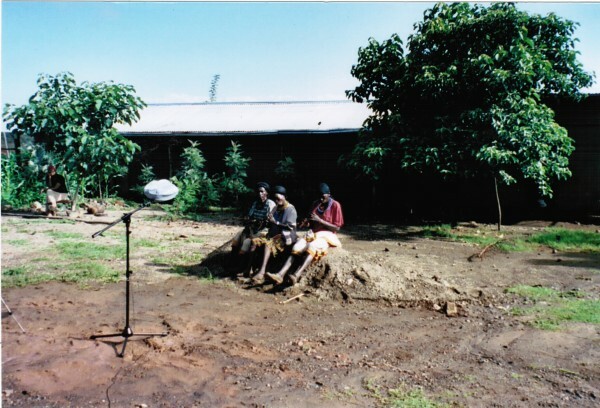 In Addis Ababa, 2005, following a research visit to the southwest of Ethiopia, Paul Winter presented two concerts, one for the Cultural Arts Society of Ethiopia, and the other for the Yared School of music. 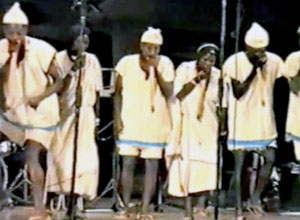 In April 2006, three concerts were presented, featuring 40 musicians from the Ari, D’Irashe and Basketo communities of southern Ethiopia; Dokku Lenda from Lante; and Justin Matu, Charles Busuulwa, Robert Ssimbwa and Isaac Zimbe, from Uganda). The concerts took place in the National Theatre, the Yared Music School, and the Hager Fikir Theatre in Addis Ababa. 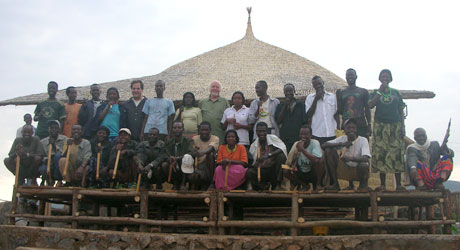 In September 2008, Paul Winter and a core Great Rift Valley Orchestra, including Mugwisa Kalifani (Uganda); Andrea Kalima, and Mwanaima Mrutu (Tanzania); Jamey Haddad (US) and Andy Cooke (UK); with musicians from the D’Irashe tribe (Ethiopia), presented 2 concerts in Awassa and Arba Minch. 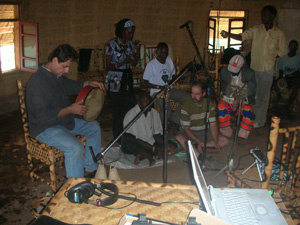 The goals of these collaborative concerts were three-fold: To raise awareness and appreciation for bird migrations, to develop musical relationships toward the Flyways composition, and to validate these indigenous traditions within the urban community of the cultural and governing elite of Addis Ababa. The concerts were presented in conjunction with the Culture and Art Society of Ethiopia (CASE), a non-profit, non-governmental society operating in Ethiopia. CASE promotes cultural activities of indigenous communities, and believes that creating such collaborative forums, as these concerts, will help win respect for local cultures and build the confidence of indigenous communities. 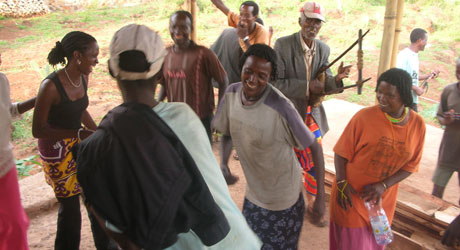 Mwanaima (back left), from Tanzania, learning dance steps from the D’Irashe. 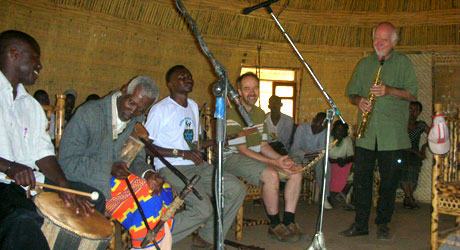 Paul Winter (saxophone) with (right to left) Andy Cooke, Andrea Kalima (Tanzania), Dokku Lenda (Ethiopia), and Mugwisa Kalifani (Uganda), with some of the D’Irashe ensemble behind. 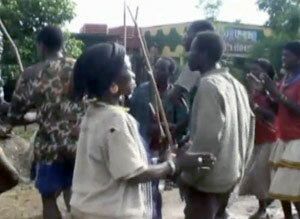 81 indigenous ethnic groups in 14 administrative regions. 31 are species of global conservation concern; 596 are resident and 224 are regular seasonal migrants, including 176 from the Palearctic. 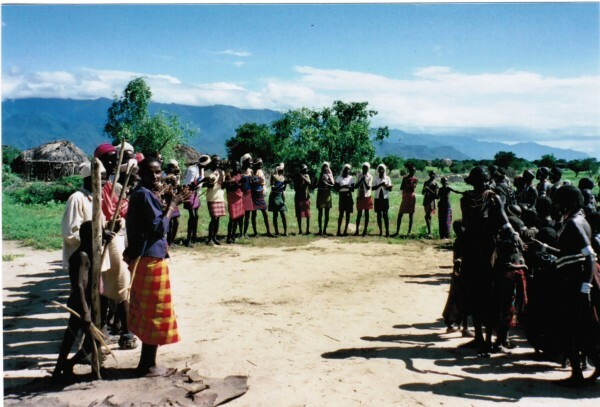 A traditional dance by the Arbore people of Gondoroba, accompanied by the rhythmic clicking of longs sticks, imitates the bill clicking of migrating storks, whose arrival is considered a good omen.